You know how sometimes it can be a leeeeeettle bit difficult to get back to work after the weekend? I like to have little motivators. Like a rented movie waiting for me at home (The Ides of March is sitting in my iTunes queue). Or an insanely fun Monday night kickboxing class (Natalie Yco is the best). This port and fig ice cream would be my current motivator. Pure decadence. A scoop (or two or three) of this and Monday didn't seem too bad. 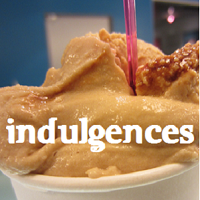 We whipped up this batch of ice cream with some preserved figs. Each year for the holidays my Mom puts together an adorable "foodie" basket of unique and interesting finds as a present for us - we've seen Spanish sherry vinegar, dried mushrooms, honeycomb, and now a beautiful jar of preserved whole figs in a lovely syrup. You could totally use fresh figs. Fig preserves. Or even reconstitute some dried figs. There is no exact science to this. It's just that the fig and port flavors mix so well together. It's rather heavenly actually. She picked up these preserved figs from Bristol Farms, if you're interested. Our friend Kay generously bought us a bottle of white port recently. We had a few ounces left, so it happily made its way into the ice cream. 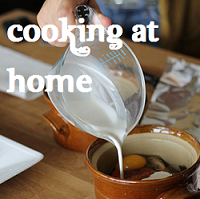 In a heavy-bottom saucepan, combine the milk and cream over medium-low heat. Cook, stirring occasionally so a skin doesn't form, until tiny bubbles start to form around the edges and the mixture reaches 170 degrees. Meanwhile, in a medium heat-proof bowl, whisk the eggs yolks until smooth. Gradually whisk in the sugar until it is well incorporated and the mixture is thick and pale yellow. Temper the yolks by very slowly pouring the hot milk mixture while whisking continuously. Return the custard to the saucepan and place over low heat. Cook, stirring frequently with a wooden spoon, until the custard is thick enough to coat the back of the spoon and it reaches a temperature of 185 degrees, Do not bring to a boil. Pour the mixture through a fine-mesh strainer into a clean bowl and let cool to room temperature, stirring every 5 minutes or so. Once completely cooled, cover and refrigerate until very cold, at last 4 hours or overnight. Remove figs from the preserves syrup. Chop the figs and place in a saucepan over low heat with 4 ounces white port and the majority of the preserves syrup (retain 2 tablespoons for later use). Cook until caramelized and the figs have absorbed the majority of liquid, approximately 10 minutes. Remove from heat and let cool completely. Place half the caramelized fig mixture in a food processor and blend until smooth. Refrigerate the pureed fig and chopped fig mixtures (separately) until cold, approximately 4 hours or overnight. Whisk the pureed figs and the remaining 4 ounces of white port into the plain ice cream base. Process in the ice cream maker, according to your machine's instructions. With 5 minutes remaining, add in chopped figs mixture and 2 tablespoons of fig preserves syrup. I found myself sitting at home with some homemade grenadine (post on that to come another day) and fresh oranges for the first time in awhile. I was craving a lighter cocktail, but something that still had some complexity (read: flavor changer) to it. Enter the Monkey Gland cocktail! A classic cocktail that dates back to the 1920's, the Monkey Gland employs the fresh balance of orange juice or grenadine set against a pop of juniper and an anise-flavored spirit. The original recipe called for Absinthe, but Pastis, Pernod, or other anise spirits work just as well (I always have Pernod on hand for a sazerac, so that is what I used). As always, the key is to use fresh orange juice and real pomegranate grenadine. I love this cocktail because of its relatively simple ingredient list and the subtlety of flavors. Nothing about this cocktail rushes to the forefront, but rather the elements of fruit and spice weigh lightly on your palate after each sip. After a long day of work, I was ecstatic to come home to a sweet surprise - my favorite LA macarons. I've tried dozens in Orange County and Los Angeles and 'Lette Macarons truly are the best. The passion fruit and salted caramel are my favorite, but I've never had one I didn't like. Late last night, I enjoyed a glass of wine, a salted caramel macaron, and an episode of Grey's Anatomy (don't judge...). Life seems a little better today. It's amazing what a macaron can do. I've enjoyed discovering great Chinese restaurants throughout Chinatown and San Gabriel Valley during my time in LA. One of my go-to dishes is the scallion pancake: a seemingly simple, yet satisfying composition of flaky dough layers pierced by bright scallions and distinctive toasted sesame seed oil. In preparation for making croissants from scratch (coming soon! ), I found a great article on the art of laminate pastries using the scallion pancake as an example and I knew that I had to make my own. The idea behind laminate pastries is to essentially create a series of dough layers separated my thin layers of fat (butter, oil, etc.). This is what makes croissants so flaky and delicious, and it's also the secret behind the perfect flaky and chewy scallion pancake. The other thing I discovered was the concept of "hot dough." Whereas most dough for breads and the like call for cold water to establish a good gluten structure, hot dough uses boiling water to effectively deactivate the components from creating a springy and resistant dough. Hot dough is key to making a good scallion pancake, as well as making dumpling wrappers. Place the flour into a food processor and slowly pour in 3/4 cup of boiling water. Mix until the dough clings around the blade. If the mixture is too dry, add more water until the dough clings. Knead dough a few times and form into a smooth ball; let rest for approximately 30 minutes in a bowl covered with a damp cloth. Divide the dough into 4 equal parts. Take a single piece and roll out into an 8-inch thin disc. Use a dusting of flour as necessary as you work with the dough. With a pastry brush or other utensil, spread a very thin layer of sesame oil on the face of the dough. Roll the dough up in a tight cigar shape and coil into a cinnamon bun shape, tucking the outer end under the coil (this creates the first set of dough layers). Press the bun down and roll with a pin again into an 8-inch disc. Spread another thin layer of sesame oil and cover with finely chopped scallions (roughly 2 handfuls). Roll up the dough again and coil into a bun. Roll out a final 7-inch disc and set aside. Repeat the procedure with the other 3 dough pieces. Place a quarter cup of vegetable oil in an 8-inch non-stick pan and heat on a slightly higher than medium setting. Once the oil begins to shimmer, gently slide the pancake in and cook for approximately 2 minutes. Once the bottom side is browned, gently flip and cook the other side for approximately 1 and a half minutes or until brown. Set the pancake on a paper towel lined plate to drain the oil. Either before or immediately after cooking the pancake, combine the sauce ingredients in a bowl or small mixer. Slice the pancake into 6 pieces and serve immediately. This dish is so comforting and offers the perfect pairing of savory and tart. 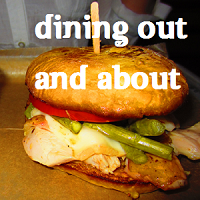 Enjoy as an appetizer or cook up some veggies and have a pancake for dinner! Beer is the word these days. There are beer societies, beer trading, talks of homebrewing, purchasing of books for aforementioned homebrewing, and beer marshmallows. Oh and, of course, plenty of beer consumption. We're going to Europe for 2 months this upcoming Summer. I can hardly contain my excitement!! Out of our 8 (currently planned) destinations, 5 of these cities are known for their beer history and tasty brews. I think Josh stealthily planned this. Technicallllyyyyy, I planned the entire itinerary. But I think there was some subconscious persuasion on his part. How else did we end up flying to 5 of the world's beer capitals?! A new Belgian restaurant opened up in Downtown serving up a variety of delicious Belgian beer. So it would be only appropriate that we found ourselves dining and drinking there this past weekend. I tend to go for the Sour or Hefs, so I stuck with a Cuvee des Jacobins Rouge for the evening. Cherry and tart. I was happy. We sat down for a late dinner with some friends and ordered up a few dishes to share. Fried crispy with a deliciously savory dipping sauce. A perfect starter to munch on with our beers. Lots of fun textures from the crispy radish, snap of the green beans, and frisee. (What, exactly, would you describe the texture of frisee as? Fuzzy??). The vinaigrette was bright and pungent, which complimented the pancetta and buttery potatoes. The sliders are serve on sliced open gougeres - essentially oversized cheese puffs. There's three options for sliders (fried oysters, pork belly, or confit of duck). I've read that all three are wonderful. We loved our pork belly choice. Simple, yet high quality. A variety of mushrooms cooked in cream and wine served over polenta. Oh and then more truffle oil. Just to up the decadence factor. Little Bear promises a constantly changing menu of Belgian beer. I know we'll back to get our beer fill (especially since we just can't seem to keep beer of our mind). Oh, and there's this whole Liege Waffle with strawberries and whipped cream on the menu. Yeah, we'll be getting that. 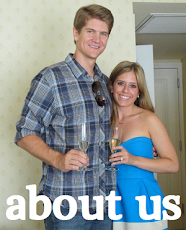 We specifically picked Italy as our honeymoon destination so that we could enjoy amazing food and wine. 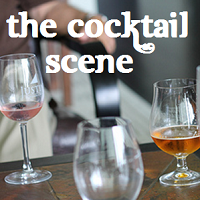 We explored the farmers' markets, took cooking classes, and stopped off for aperitivos. We ate pasta at every meal (well, not breakfast - that would be weird, no?). I could not get enough of the delicate raviolis, the tagliatelle, and the gnocchi. We came across this Gnocchi alla Sorrentina on our way from Pompeii to Positano. We dined right next to the beach and drank a half liter of Rose. Just thinking about that afternoon makes me instantly relaxed. We've both coined this dish as the "adult version of macaroni and cheese." It's ooey-gooey wonderfulness, but so much better than the blue box. (And that's saying alot because I personally love the blue box). The key to this dish truly is the fresh gnocchi, but it can be a time commitment. You're not actively cooking the whole time, but you need to sort of be near the kitchen. A perfect Sunday meal. If you don't have the time, stop by a local Italian market and see if they have fresh gnocchi in the fridge that you can purchase. Spread a layer of salt on a baking sheet, arrange potatoes on top, and bake until fork tender - about 45 minutes. Let sit until cool enough to handle, cut in half, and scoop out flesh. Pass the potatoes through a potato ricer. Make a mound of potatoes on the counter with a well in the middle. 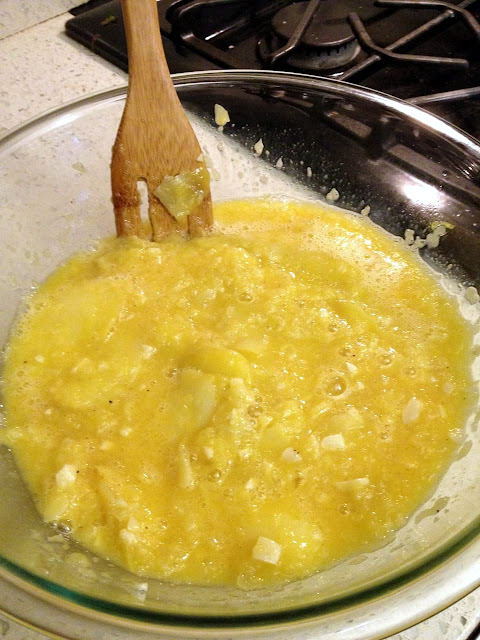 Add egg yolks, cheese, nutmeg, salt, and pepper. Mix well with hands. Sprinkle 1/2 cup of the flour and press into the potatoes. Fold the mass over on itself and press down again. Keep adding bits of flour, folding, and pressing until it just holds together. Try not to overknead it. The dough will be firm but yielding. Form dough into ball and divide into 4 pieces. On a lightly floured surface, roll each piece into a rope about 1/2 inch in diameter. Cut in 1/2 inch pieces. Gently press side with tines of fork to create gnocchi ridges. Lay on cookie sheet and lightly dust with flour. Let gnocchi rest and dry for about 20 minutes. Bring salted water to boil, drop in the gnocchi, and cook for about 90 seconds from the time they rise to the surface. Remove the cooked gnocchi with a skimmer and shake off the excess water. Bring 1 1/2 cups homemade tomato sauce to a boil and reduce to a simmer. Mix in 1 cup chopped buffalo mozzarella. Mix in homemade gnocchi. Stir until cheese is melted and sauce coats all the gnocchi. Top with freshly chopped basil and enjoy! I'm a potato lover. A connoisseur, really. And there is nothing quite as delicious and comforting as mashed potatoes. One forkful and I swear all is right with the world. Yes, there's butter and cream and all that wonderfulness too. And if you have a potato ricer, it sure helps the mashing process along. But it's the salt that really does the trick. Now this is not as simple as throwing a handful of salt in the mix. Oh, no. The answer to fabulous, addictive mashed potatoes is tossing handfuls (literally handfuls) of kosher salt into the pot of boiling water. This way the potatoes have a chance to hang out in a salty bath for a while and soak up that salty flavor. Once they're fork tender, throw them through a potato ricer - or use a masher if you're old school (no judgment passed here). Add in that butter and cream. And you're good to go. Serve them up with some wilted spinach, sliced flank steak, and a dollop of sofrito, if you please. Place the potatoes and garlic in a large sauce pan. Cover with 1 to 2 inches cold water and season generously with salt. The water should taste like the sea. TASTE IT! If the water is underseasoned at this point, it will be hard to have a well seasoned end product. Bring the potato of water to a boil and cook until the potatoes are fork-tender, about 20 minutes. Drain the potatoes and garlic and pass through a food mill or ricer. Bring the heavy cream to a boil in a small saucepan. Remove from heat. 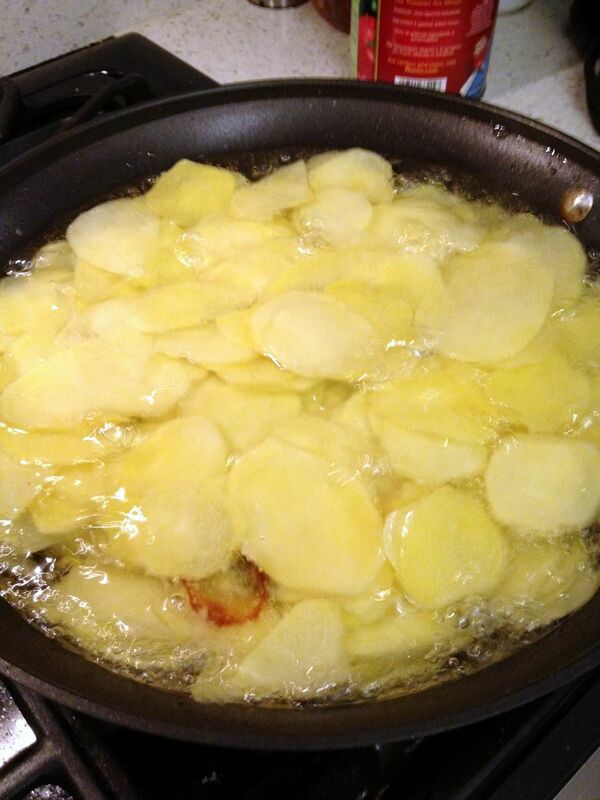 While the potatoes are still hot, add 1/3 of the butter and cream and stir vigorously into the potatoes. Repeat this process 2 more times until all cream and butter has been incorporated. Can we all agree that Sunday brunch is a truly special thing? 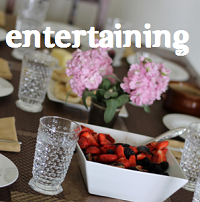 There's no rhyme or recipe to the perfect Sunday. Sometimes Sundays are rushed, so we just take an extra 5 points to make a spectacular batch of french-pressed coffee (or a tea latte for me!). Other Sundays, we're feeling like a splurge and we make our way out to Urth Caffe or Bottega Louie for a luxurious plate of eggs and a cappuccino. And then there's Sundays where you want to stay in. In bathrobes and bare feet. And not make your bed. And then you eat platefuls of french toast bathed in bananas and rum sauce. And you don't feel one bit ashamed about it. Nope. Oh and there was some whipped cream too. This recipe is easy and delicious. You can completely morph it into your perfect Sunday brunch. Don't like bananas? Ok, use fresh pitted cherries or pears or blueberries. Don't have french bread laying around? Croissants, brioche, even sliced sandwich will do. All I ask from you is no stress. Sundays are not meant for stress. There are Mondays for that. Sundays are meant for sleeping in, reading blogs, and eating platefuls of french toast. Whisk the eggs, all-spice, cinnamon, nutmeg, vanilla, and salt together. Dip the bread in the mixture, let soak on either side for at least a minute. Mix 2 tablespoons of butter in a pan, over medium high heat. Place bread slices in the melted butter. Cook until golden brown (about 3-4 minutes) and then flip until side is golden brown, as well (about 2 minutes). Meanwhile, melt 2 tablespoons butter in another pan, over medium high heat. Slice banana into about 1/4 inch slices and toss in the melted butter. Drizzle in simple syrup and then carefully (don't burn yourself!) pour in the rum. Cook down about 5 minutes. Serve 2 slices of french toast with sliced bananas, rum sauce, and a dollop of whipped cream. So it's a new year and already the tables have turned! Heather has been working a lot more lately and I've had more free time in the evenings, so that means I get to experiment with whatever odd cravings I have until she gets home. Following our vichyssoise souffle, I was craving more potato and onion combinations. 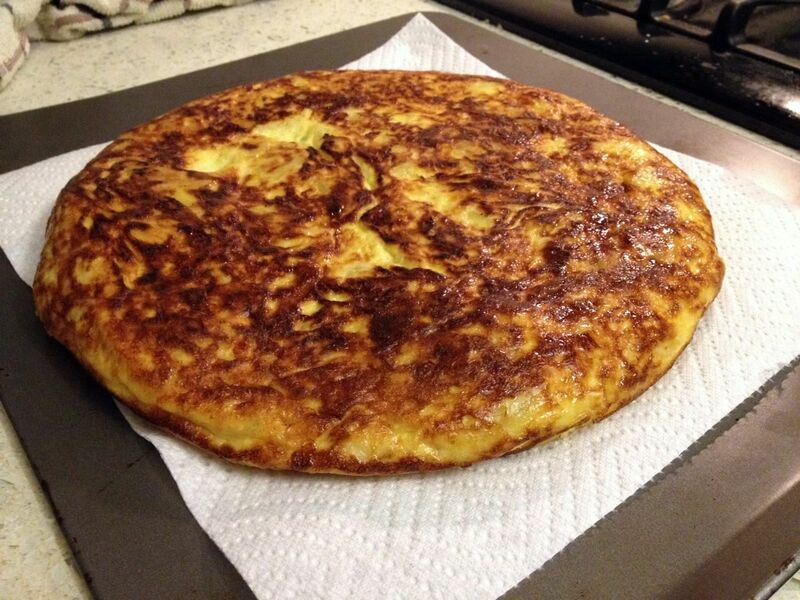 Inspired by menús del día we would enjoy in Madrid a few years back, I started looking up tortilla española recipes (tortilla can actually mean omelet in Spanish). These are usually not what people think of when you say tortilla, but I can guarantee you that once you make one, you soon will not forget the simple wonders of this dish. Tortillas can be found at Spanish tapas bars and restaurants around the clock, as their basic and sturdy ingredients make them the perfect snack or foundation. Scroll down to see the recipe! You can find a detailed rundown of instructions here. 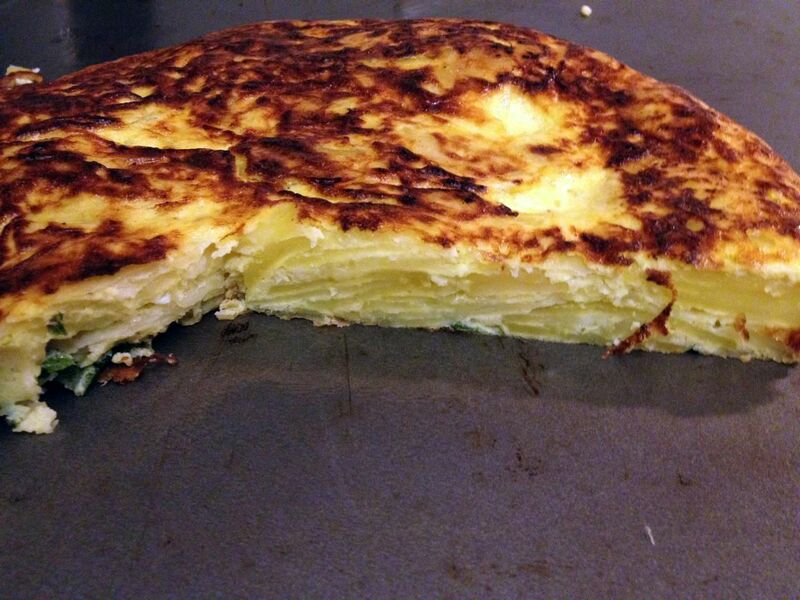 There's also a great video on flipping the tortilla (arguably the only difficult part) here. Don't forget to fold the edges under using a soft spatula after you flip to give it that classic rounded edge! 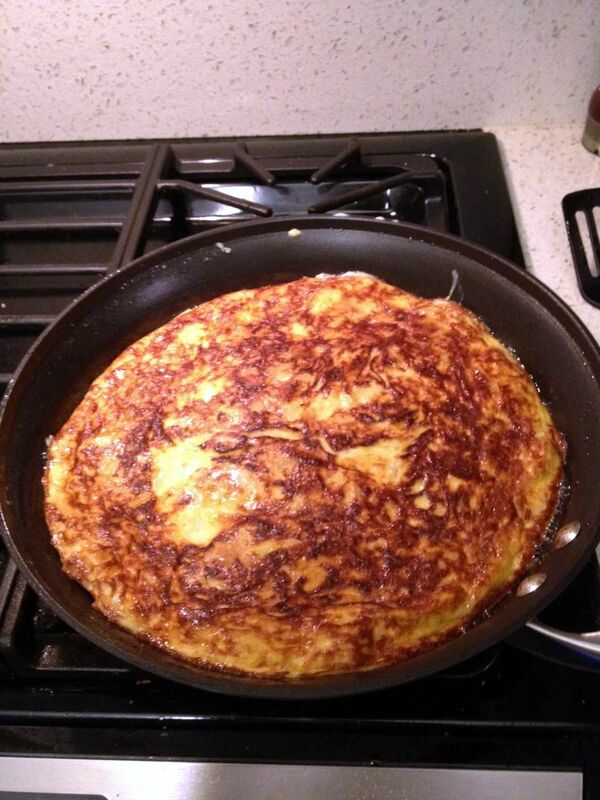 The other great aspect of a tortilla is that the basic foundation can easily be spiced up by adding a few ingredients while the eggs begin to cook. I threw in some cilantro and diced jalapenos to add some extra color and flavor. Once the tortilla is made, I would recommend letting it set for an hour, as this will help the eggs to further set and the flavors to fully meld. 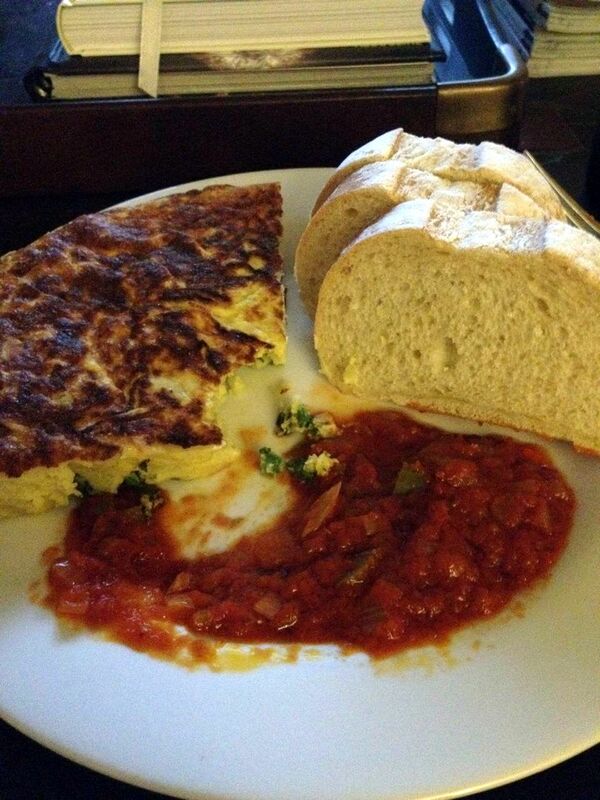 In the meantime, you could make a fantastic sauce to go with the tortilla. I chose the classic Spanish tomato sauce, sofrito. And I can guarantee you this dish makes some of the best leftovers you can imagine. You can also throw a slice between two pieces of baguette and you have yourself a classic bocadillo!